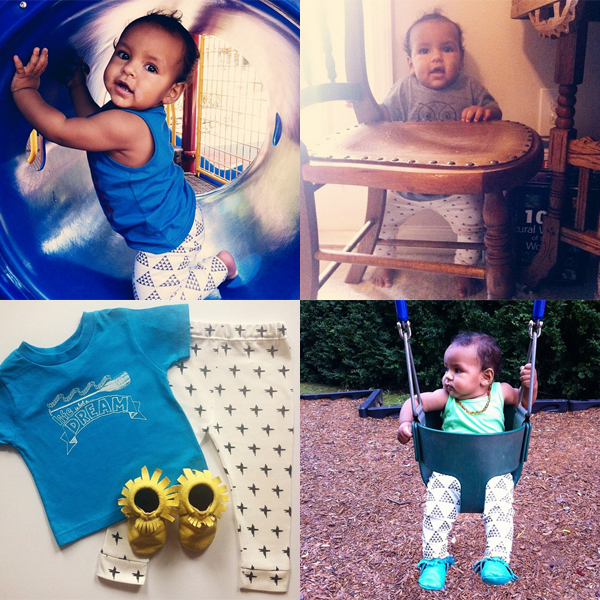 August was an amazing month on Love, Joleen! Not including today or tomorrow readership is up 21% from July and a whopping 80% since the beginning of the year. Combined social media followers have increased from 1,177 to 1,581 this month. I am so proud of this blog and each sponsor who has made it possible to write about things I love and offer such awesome giveaways to Love, Joleen readers. I am so excited for what September has in store that I can hardly contain myself! I will be releasing my new [photography] website (yay!) and this blog will officially become www.lovejoleen.com. Thank you so much for allowing me to share my life with you here and thank you for continuing to vote for us on Top Baby Blogs! Don't forget that tomorrow is the last day to sponsor Love, Joleen at our current rates. As a thank you for those purchasing medium and feature ad spaces for 3 months, you will receive a 4th month free, taking you through the end of the year! All information can be found here. 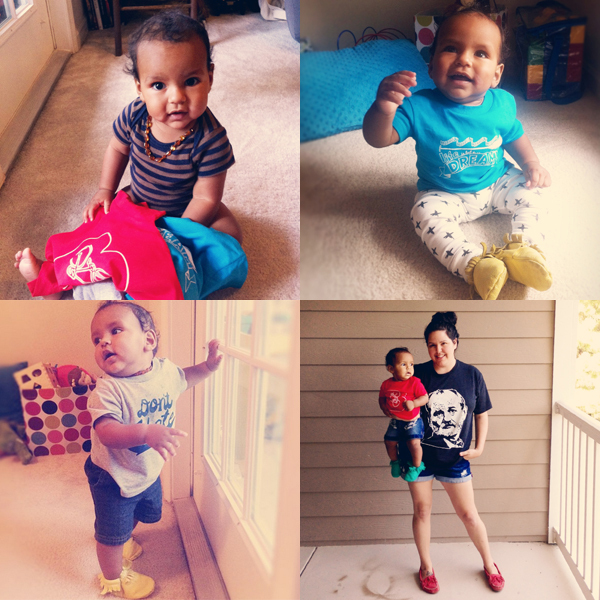 Without further ado, a special look at Love, Joleen sponsors in August! It's no secret that I love me some TrulySanctuary! My girl crush on mama bear, Beth, was solidified this month after reading what she wrote on The Urban Baby Bonnets blog. 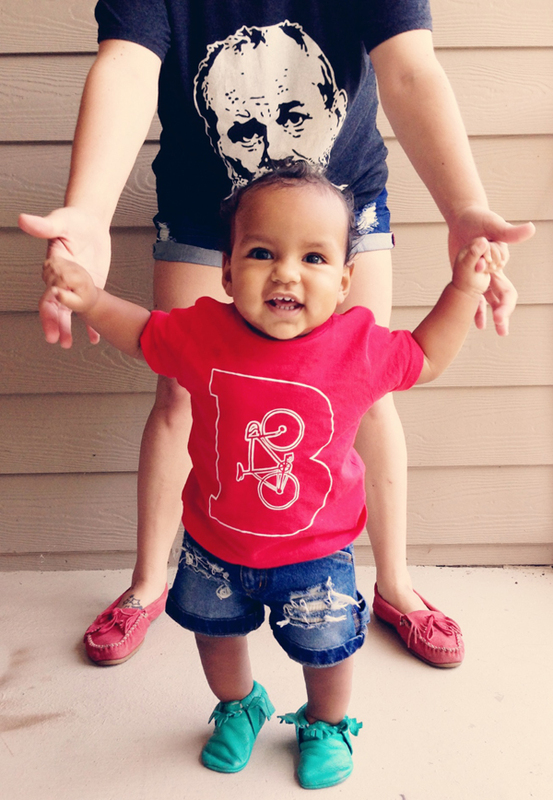 You may remember this B is for Benjamin Bike tee from Benjamin's Spring Wishlist. We finally ordered it this month and OHEMGEE do I love it! Ben looks like a toddler in this outfit and I can't stand it, he's just too cute! Our fairy godparents (AKA our family at TrulySanctuary) also sent Ben this Don't Hate tee (LOVE!) [similar here] and new design, Life Is But a Dream tee. ((For sizing reference Ben is wearing size 2 in TrulySanctuary toddler tees.)) I'm excited that we'll be collaborating again with them in September to bring you another awesome giveaway! For most of us Summer has come to an end and the kids are back in school. 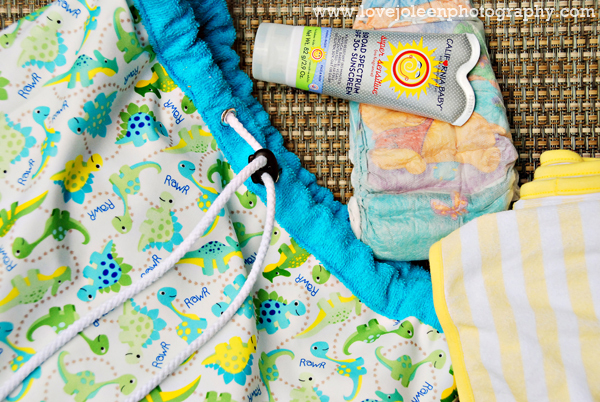 Did you know that Love In Every Thread not only offers the cutest pool bags but also zipper wet bags for mamas to use year around? We have one that we keep in our everyday diaper bag. They're perfect for that extra set of clothes and a fresh diaper just in case. When you need it, it's a quick change and then a water resistant bag to keep the messy clothes in. Gotta love that! There are some adorable prints available and a little birdie told me to be on the lookout for new product soon! We have the biggest heart and so much love for our friends at House of Mia. 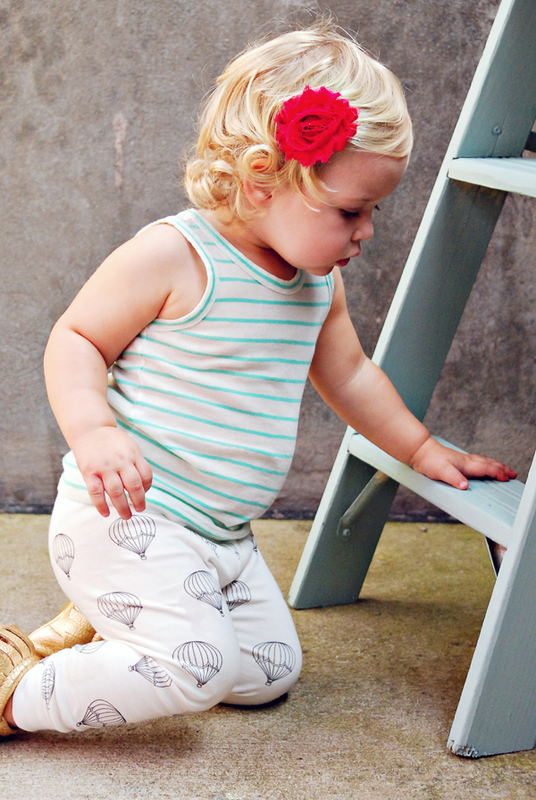 Rachel keeps Benjamin comfortable and looking oh-so-cute in her printed organic leggings. They fit him perfectly (12-18 months) and the black + white patterns match everything. He's still crawling most of the time and I love how easily he's able to move around in these, all while protecting his knees from rug burn. It's been so fun photographing all the HoM products and extra special that Benjamin gets to be an official House of Mia model. Rachel has shared peeks of her upcoming prints on Instagram and I can't wait to see everything in person! 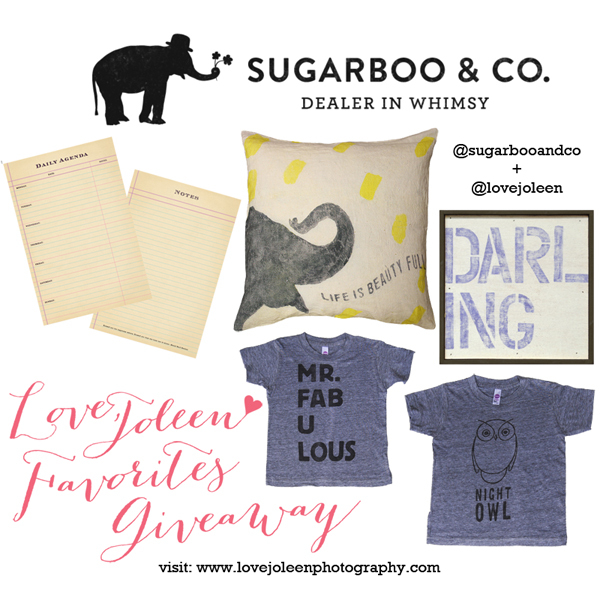 Carlymegan is a new sponsor this month and offered a giveaway here on Love, Joleen earlier this month. 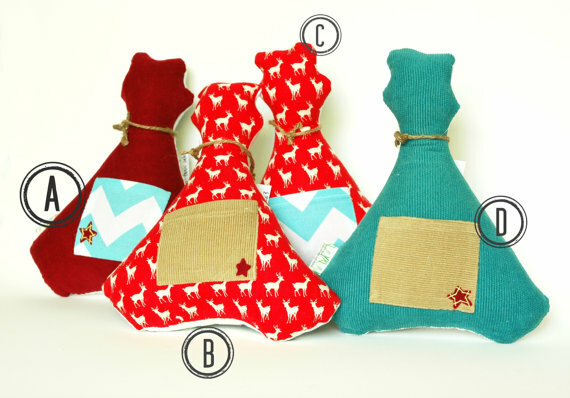 Carlymegan is a "fun, funky, hip brand that focuses on producing simple, unique handmade apparel and accessories." Each print is designed by the owner, Carly, and printed exclusively for Carlymegan. Each item in the shop is handmade by Carly as well. 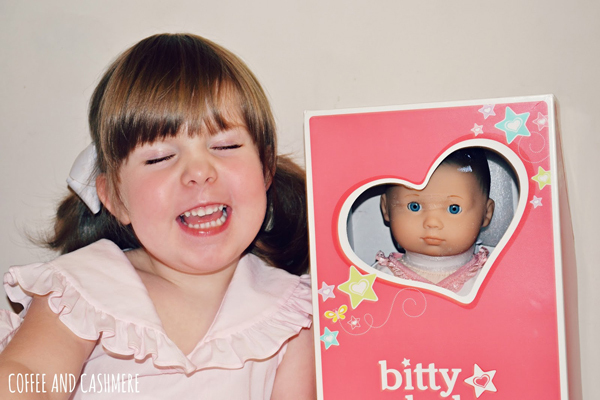 You can read our official review of two Carlymegan products here. 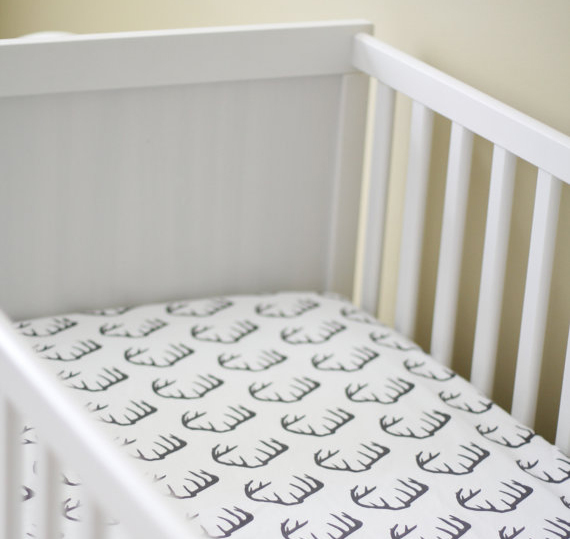 I love the prints she offers especially this Hand Printed Arrow Organic Onesie and Antler Fitted Crib Sheet. Her Autumn/Winter'14 collection to be launched mid to late September. Be sure to check it out! 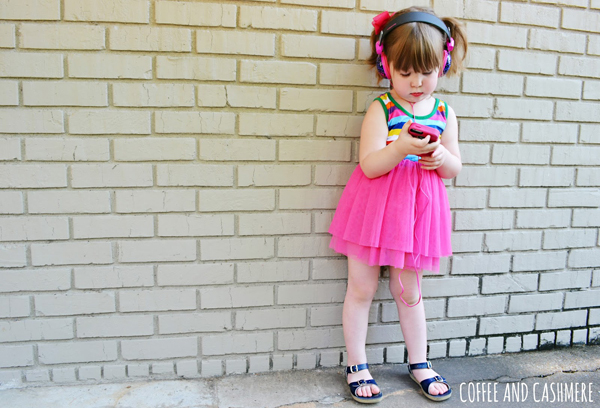 Back in August is one of my favorite blogs, Coffee and Cashmere. She's currently partnering with Kia Soul to giveaway this $25 iTunes gift card so go enter to win! Jade (Mama) has an extreme obsession passion for American Girl so I could totally imagine her glee when American Girl sent her peanut this adorable Bitty Baby. I think it's safe to say they were both more than a little excited. Even still, my favorite post this month was the letter Jade wrote to her daughter, Adrienne. Also back this month is the blog While it Rains. How beautiful is this family? Seriously, right? 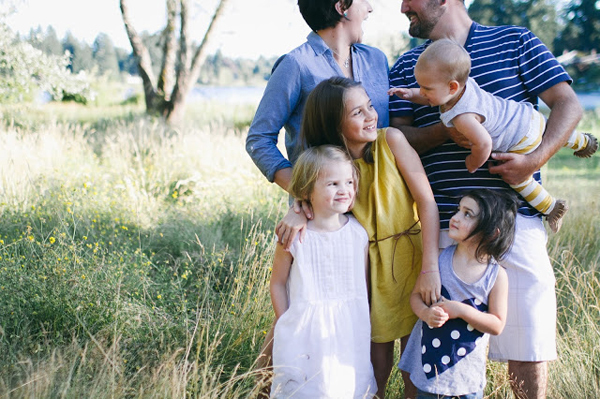 Melissa wrote all about her family session with Seattle and Portland photographer, Lulabell. 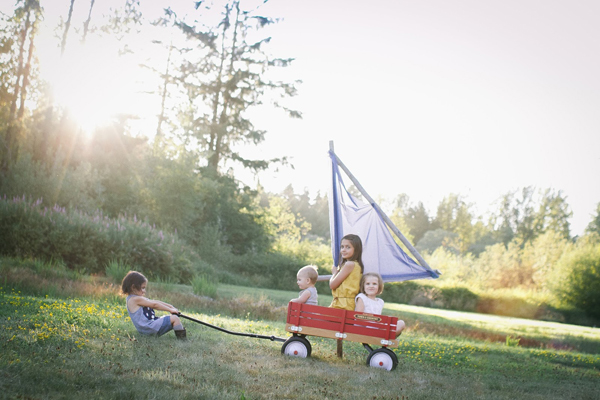 I can only imagine baby wrangling a family of six from the other side of the camera! 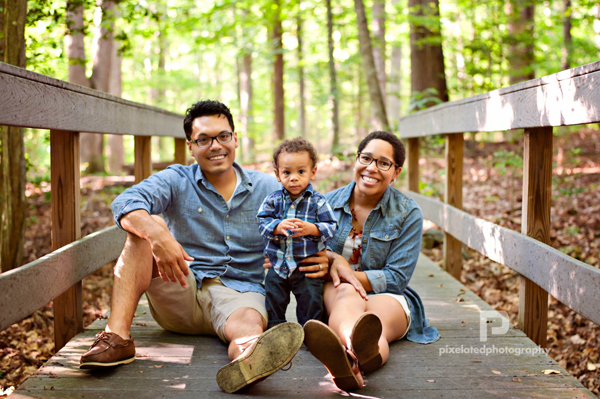 I have yet to manage to get my own family photographed although I've made it my goal to do before the end of the year. It's one of those shoe cobbler's family type of things. Also new this month is The Blue Swallow, a blog + shop by Carmen Galeano. 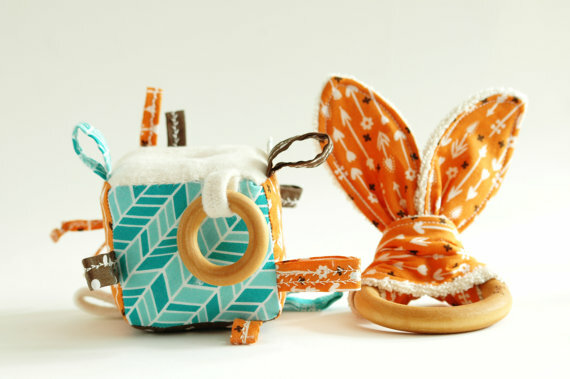 Carmen makes adorable crocheted hats (perfect for newborn sessions) and hand draws on mugs. 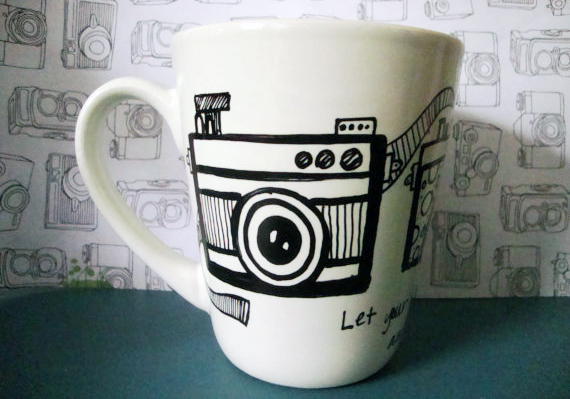 I'm obsessed with the mugs, especially this Photographer's Coffee Mug. I need that one dontchathink? Her adorable son just turned one and had the cutest birthday party. She also just posted this awesome post on mommyhood investments and is planning to share more tips with us here on Love, Joleen in September. I cannot wait! Last but not least, I want to give very special thank you to Freshly Picked + Sugarboo & Co. for the generous giveaways they contributed here in August!! Please visit all of our sponsors this month. You will not be disappointed! Enjoy your holiday weekend!